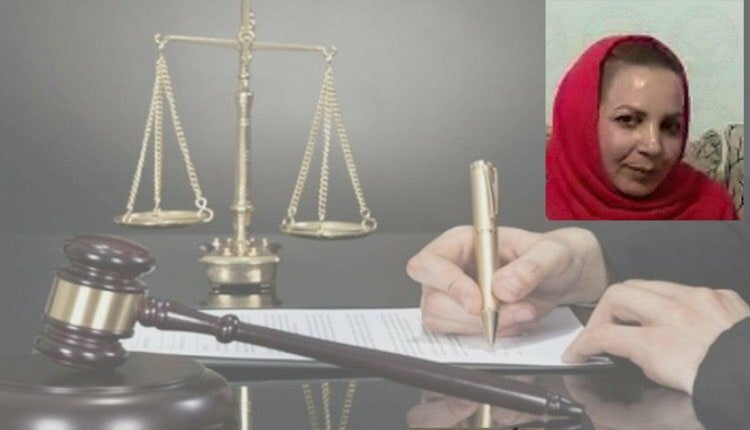 Teachers activist Fatemeh Bahmani and her husband, Mohammad Kurd, are each sentenced to one-year imprisonment and payment of a fine of 2 million Tomans. Fatemeh is a mother and her child is being kept by relatives since she has been arrested. Teachers activist Fatemeh Bahmani and her husband were arrested by security forces in Arak on November 11, 2018, during Iranian teachers’ nationwide strike. On that day, as the Coordinating Council of Iranian Educators’ Guild Organization announced, 12 teachers were arrested and 30 teachers activists were summoned and interrogated. The strike was to protest suppression and imprisonment of teachers, their dire living conditions, high inflation and diminution of their purchasing power. In the course of one year (March 2018- March 2019), women teachers and educators have held five coordinated rounds of nationwide strikes and sit-ins in mid-spring and early fall of 2018 and winter of 2019. Other news indicates that Vida Movahed, a protester to compulsory veiling has been sentenced to a year in prison by branch 1091 of the second penal court of Tehran province, charged with “encouraging corruption by remove her veil.” The decree was issued on March 3, 2019. Other reports say that on Friday, March 29, 2019, Ms. Zolaikha Sa’adat- Nejad from the city of Mahabad, was arrested for unknown reasons by Intelligence agents of the city, and taken under interrogation for a week.